Before Hasbro got lazy and created a modern generation of Transformers "Shellformers", there was this guy. The literal king of kibble. 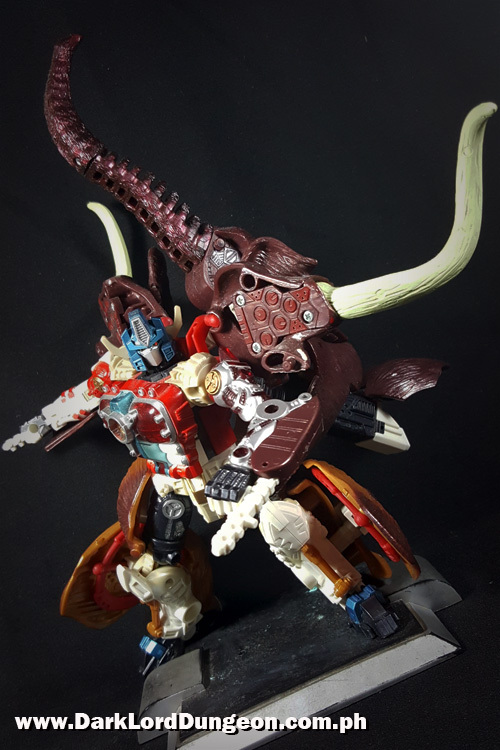 This is what it means to be a "Shellformer"
To the uninitiated, Sonokong's Big Convoy is also known simply as "Big" or "Slammoth". He bears the title of Supreme Commander of the Maximals (It's a military title). But unlike other Supreme Commanders who are level-headed and friendly, Big Convoy is a "One-Man-Army" with teamwork issues and a penchant for simply destroying what is in front of him with his Big Cannon. THERE'S SOMETHING ON MY BACK!!! GET IT OFF!!!! 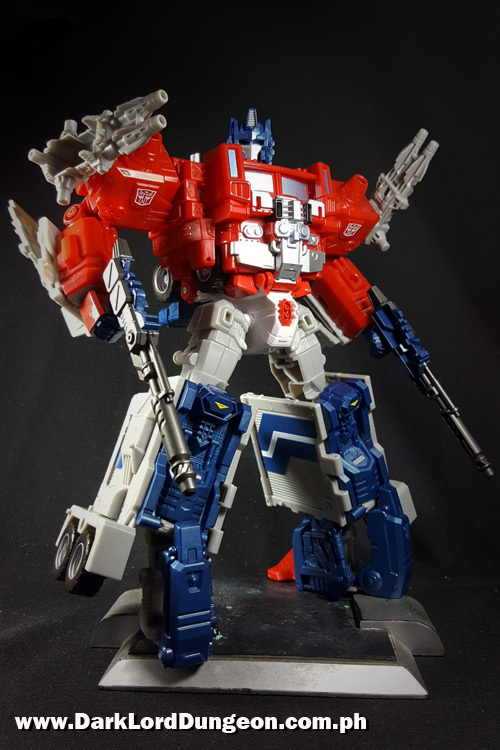 Welcome to a quick review of the IF EX-14 Ultimate Commander - not God Ginrai or Optimus Prime depending upon the mode - from Iron Factory. The early release packs of the Ultimate Commander from Iron Factory came with a nice bonus: IF EX-16A Alleria, The Lady Commander - AKA Elita One (Only NOT Elita One :) ) And not to be confused with their just announced EX-016 Pink Assassin which looks sooo coool) which is a very nice bonus from Iron Factory. Iron Factory built the IF-EX04 City Commander figure. Feedback for this NOT-Ultra Magnus was favorable because Iron Factory built him to be compatible with the Transformers Generations Metroplex. So they went and built an Optimus Prime. The Odinson is a douche who thinks that he's covered in brains. No wonder he's unworthy. If a "god" from another dimension pays you in coin from his realm (They look like buttons, but who knows?) Perhaps you should have the metal tested first. You could be sitting on a fortune. At the very least the Agents of SHIELD will compensate you for them as they "Might be dangerous"
Same thing with the pumpkin - assuming he didn't get it from Earth. This series really cracks us up and we're looking forward to Part 3 when they get a servant. 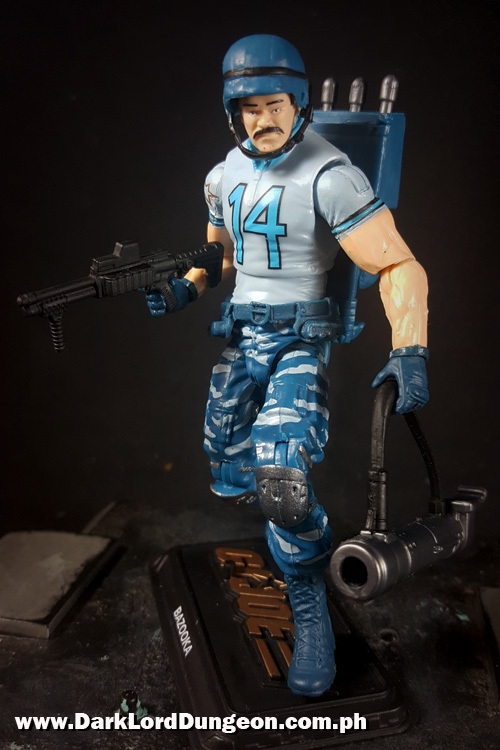 Welcome to a quick review of the GI Joe 50th Anniversary Bazooka Action Figure. Sergeant David L. Katzenbogen, from Hibbing, Minnesota was an Abrams tank-driver in the Third Horde (US Third Armored Division) when he realized that his multi-million dollar tank could be destroyed by some idiot walking around with a rocket launcher that was only worth a few hundred dollars. He put in for transfer after that. Personally we feel he forgot about the part where the farmer has to walk. That, and this is no longer WWII where tanks relied purely on line-of-sight. Sneaking up on a modern tank today is much much harder. Then there's the range and improved armor. But whatever makes him happy. Boom Raider: this Youtube video, from Aussie filmakers Fury Fingers, is actually a bit over a year old, but it's a trip! In a nutshell, this is what happens when you deny Lara Croft her "Boom!" In a nutshell she ends up killing everyone, then gets her boom! The realization that this epic Marvel Movie journey that began all the way back in 2008 with Iron Man is almost at an end. (Sniff Sniff). The Avengers are set up to take a beating thanks to the events of Captain America Civil War. I got you a kitty. 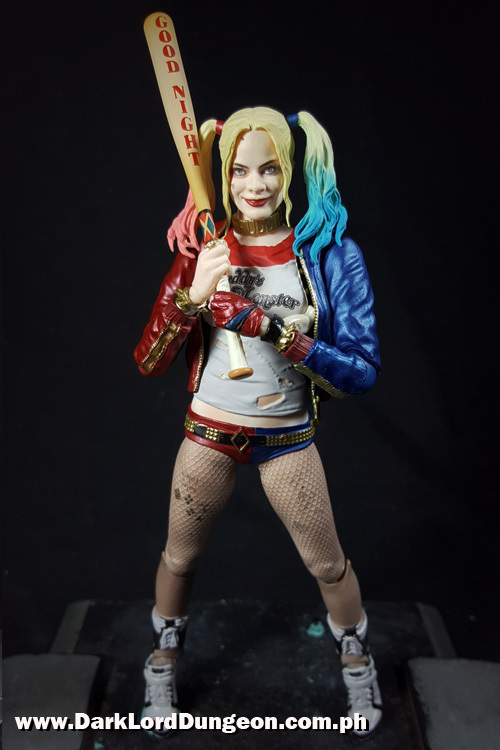 Presenting a review of the SH Figurarts Suicide Squad Harley Quinn (Margot Robbie) Action Figure. Check out our thoughts on the DC movie that rated lower than BvS on Rotten Tomatoes by clicking here - we actually liked most of it. Anyway, so this is SH Figurarts attempt to give collectors their very own Margot Robbie action figure to play with. We're really grateful that other companies have taken up the slack after DC released that rather traumatizing version of Harley Quinn through Mattel (Which looked like a Chinese knock-off). At this point we're wondering if anybody is reading this stuff. You know who Margot Robbie is. You know who Harley Quinn is. So we can actually write anything here and you'd still be scrolling to check out how hot she is. 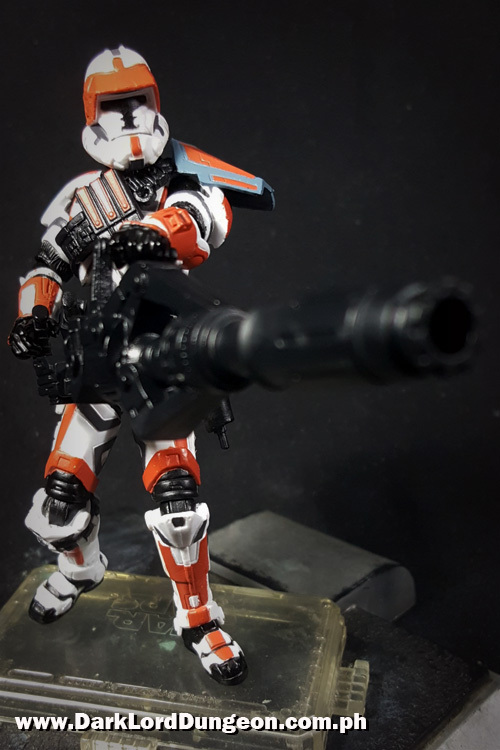 Welcome to a quick review of the Star Wars Old Republic Trooper Jace Malcom - the man (Not a clone) who would become leader of Havoc Squad - an Old Republic Special Forces Unit - and later, Supreme Commander of the Old Republic Army. Jace Malcom - first appeared as an unnamed Old Republic Commando with a proclivity for an Armstech modified Assault Cannon called the "Havoc's Fist" - which made him cool - in the BioWare/LucasArts Star Wars The Old Republic (SWTOR) MMORPG trailer entitled "Hope" (Voiced by Kevin Michael Richardson, The Cleveland Show, The Batman). This was the guy dumb (?) enough to go take on Darth Malgus with a knife, and who later detonated a flashbang grenade while holding it (It really messed up his face). The unnamed Old Republic Trooper would return in....well... the SWTOR MMORPG trailer entitled "Return" and Bioware//LucasArts started using him more and more for promotional purposes. Jace Malcom was finally named by Bioware's Lead Writer Charles Boyd in an interview regarding the Guinness Record winning game. We should note that the events in "Return" occur before the events in "Hope"
Welcome to a public-service post on how to buy toys on the internet. 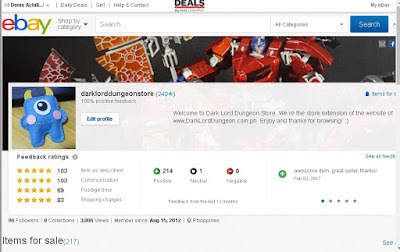 We at the Dungeon also serve as admins on several Facebook toy collector sites and we've noted an increase in the number of people complaining about being scammed by sellers. These cheated buyers have resorted to publicly shaming the sellers - which shouldn't matter since they're probably fake accounts - however we don't think that these buyers know that they may be facing libel charges under the Philippine Cybercrime Prevention Act of 2012 (Republic Act No. 10175). There are risks that every buyer takes whenever he makes a purchase - both offline and on-line. It's just easier to return to a real-life seller if you find a defect in a product, and most purchases involve direct exchanges of cash for product. Buying on-line makes is riskier because, in some instances, sellers will demand payment prior to purchase. Which is where scamming comes into play - though note that scamming can be done both ways. 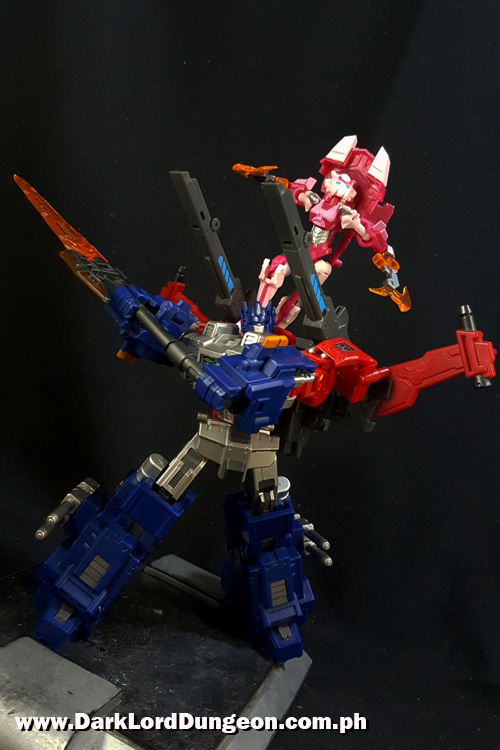 Welcome to a review of the Takara Super Ginrai - Powermaster Optimus Prime! To the uninitiated: In the cartoon series Super-God Masterforce, Ginrai refers to a human - not a robot (though later the robot gains sentience and uses the name Ginrai) who is a GodMaster (AKA PowerMasters) - not a Headmaster - who had the ability to combine and power a Transtector - or basically power-armors used by the original Cybertronians (Who were tiny). Super Ginrai is what happens when Ginrai first combines with his Transtector, then the Transtector combines with his trailer. There's one more upgrade coming that we're looking forward to called God Ginrai where Super Ginrai combines with another Transtector called the God Bomber. Shortly after gaining sentience and leaving Ginrai, the Transtector Ginrai would become so wounded that he submitted himself to a rebuild where he would become the lion-bot Victory Leo. If you want to see the original Transformers Super Ginrai to God Ginrai, click here. If you want to see Xovergen's version of God Ginrai, click here.